View From The Capital, A Few Points To Ponder For Our New Transport Minister Jenny Shipley. Safety Reporting, By National Safety Manager Phil Peguero. 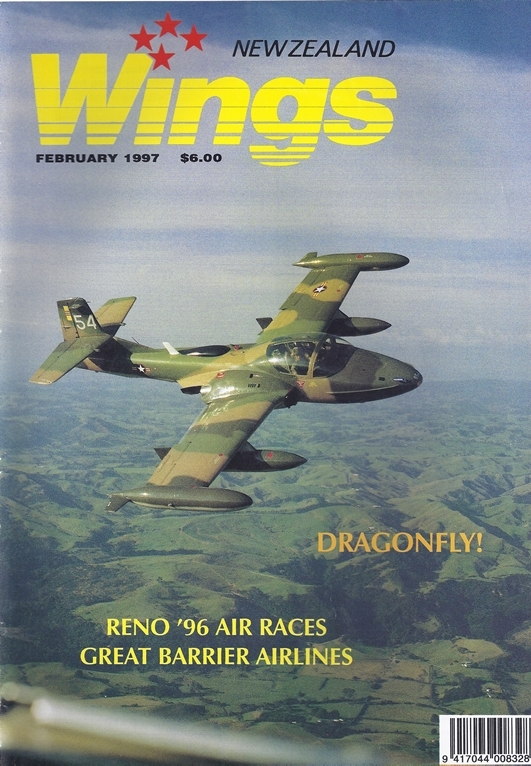 Mike Weir Described The Reno '96 Air Races, And Gives 'Dage Red' The Promised Pat On The Nose. The Long Awaited Flight In The Cessna Dragonfly; Definitely Worth The Wait - By Callum Macpherson. Archivist John Ford Selects The Second Batch Of Photographs Of Commemorate The RNZAF's 60Th Anniversary. Callum Macpherson Talks To Bennett Medary On Mooney's Official Presence In New Zealand.